The order of forwarding sector includes complex cargo and forwarding services. The freight forwarding is able to address whole squadron of suppliers, thanks to network of business partners during several minutes and to react on orders quickly. 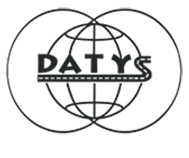 DATYS company provides also an agency of transport of dangerous goods, in terms of deal ADR vehicules with necessary equipment. It provides whole car transport, support of goods and special transport. Forwarding assistants know world-wide languages. For this, they are able to provide transport from every corner of Europe. They react on every demands flexibly and in most of transports prepare an offer to 15 minutes from a layout of demand. DATYS company s.r.o. acts in sphere of logistics already 20 years. During these years, the company ameliorates a process of transport on the maximum. Every customer gets to use a trained assistant, who is available during a period of transport all day. Communication can pass in several word-wide languages like english, german, polish and czech.